Home » Cats » 7 Best Cat Carrier Reviews 2019 | For your Cuddly Cat! Traveling with cats is one of the most challenging things to do, especially if you have never done it previously. Whether it’s because you’ve never cared for a kitty before or you have a young kitten or new rescue to take out on trips, the whole task will be a handful. The right tools and information should make it doable, though. One of the most important items that you should get when traveling with a cat is to get the best cat carrier available to you. These will help make anxious pets be more manageable and calmer while in transport, keeping everyone safe. As there are tons of choices available, you shouldn’t worry about finding a great match for your pet as long as you know what to look for. Beside a good carrier, we recommend having a look at our beds and cat trees as it is important to have an established, safe place to lounge. Buying Guide: What is the Best Cat Carrier? If you’re going to put your cat inside anything, they should be able to move around in it to feel comfortable. 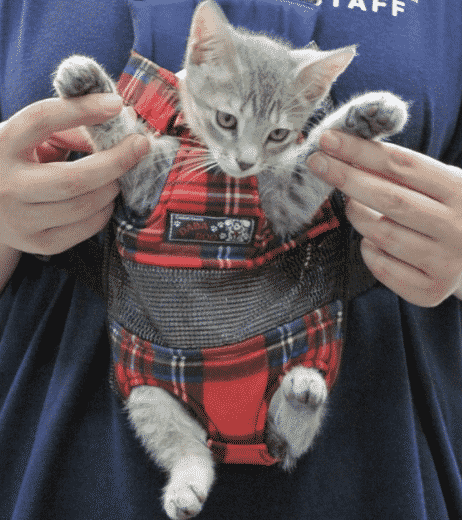 Even if they won’t really stay inside for too long, a carrier that lets them stand, stretch a bit, and even turn around will be a good way to ensure that they won’t feel trapped or too snug. A cramped carrier will definitely stress out your cat and may even hurt them, so opt for something that is at least a size and a half bigger than your cat so they can have enough room to be comfy. Cats are smart and will try to get out of the carrier, especially if they’re placed inside with force. So, you’ll want to make sure that they’ll stay put to ensure everyone’s safety while you’re in transit. This is why a cat carrier for travel must also be very secure. It should have door locks that are tamper proof. Those cute paws shouldn’t be able to press on it to release the latch and open the door. The entire structure should be properly constructed and doesn’t have openings that your cat can squeeze herself into or even get her limbs trapped in. Although secure, you should still be able to open it with relative ease. This way, you can quickly get your cat out, immediately relieving her stress and preventing any potential injury. Your cat carrier should also have the right design required for the kind of traveling that you’re going to do. If you’re just going to use it for trips to the vet, a seat belt strap is essential. If you’re going on long road trips, it should be comfortable and easy to clean. For those who are going on flights, a decent cat carrier for airline travel is necessary. Hard-sided carriers are some of the most popular options for a lot of pet parents who like to travel with their cats as they are sturdy and very durable. You won’t have to worry about your cat trying to rip the thing apart with her claws or teeth and it can prevent your cat from getting squished in most instances. If you’re interested in one, Petmate’s Two Door Top Load Kennel is an option you should look into. Made of durable plastic for most of its components and steel for its door, you can count on it to be sturdy and durable. The design may not exactly be unique, but it works so it shouldn’t be a problem for those who want a useful and functional carrier. The two-door design makes it a lot easier for you to use because your cat can easily opt to enter on her will and you can also quickly opt to put her inside or take her out through the top door. As the upper and lower parts of the carrier can be taken apart and put together with screws, you also won’t have to worry about removing your pet inside with ease and expertise. In terms of security, it’s also worth noting that the front doors of this crate use two buttons that need to be pressed at the same time to unhook the latch. This makes it easy to open with one hand but is still hard for your cat to tinker with. The top door is a lot easier to open, but since the grills are too small for your cat’s paws, it shouldn’t be a problem. These can promise that cats won’t easily make a run for it in case they want to get out of their carrier while out of the house. Sturdy, durable, easy to handle, and spacious enough for most cats, this Petmate cat carrier can be good for trips to the vets and road trips. The trickiest thing about shopping for the best cat carriers for air travel is the fact that airlines do not have the same rules and regulations when it comes to such items. There are airlines with very strict rules regarding these matters, others can be more lenient. They also have different rules when it comes to pets who will ride in the cabin and pets who will be held in the cargo. Cats are most commonly allowed to ride in the cabin with their owners as long as their carrier will fit under the plane seats. With different rules and so many technicalities, searching for an airline approved carrier can be an undertaking for most people. Luckily, if you’re flying with Delta Airlines, you can skip the hassle and just opt for the Sherpa Deluxe Pet Carriers. The brand actually worked with the airline in developing this carrier, so you can be sure that it will pass all of the rules they have in place for those who wish to fly with their pets. Professional-looking with its plain, monochromatic design, this soft-sided cat carrier looks more like a duffel bag than your traditional pet crate. It has mesh panels on all of its sides to guarantee ample ventilation and visibility, although the ones on both ends of the carrier have roll-up covers so you can opt to give your pet some privacy or extra warmth should they need it as well. This carrier can carry pets that are up to 16 lbs, but it’s always best to measure your cat first and compare it with the carrier’s measurements before purchasing. This way, you can be guaranteed that your kitty will fit comfortably and safely inside her new carrier. In case you have more than one cat, this is ​the best multi cat carrier on the list. Don’t think a plain-looking carrier suits the colorful personality of your cat? Then Mr. Peanut’s Airline Approved Soft Sided Pet Carrier is an alternative option to the Sherpa product mentioned above. Both items can be used for flying with your pet as a carry-on baggage, letting you and your fur baby go to different places safely and without a hitch. It is literally a portable bed﻿ for your cat. What makes the Mr. Peanut carrier a solid option is its deluxe appearance. It actually looks like a preppy duffel bag. Thanks to its Oxford 900D material, rich brown leather details, and a plush fleece bedding, it might just be a great fit for any stylish cat parent and a comfort-loving pet. Aside from its appearance, this carrier also has great features. The main material is highly durable so it can be safe for pets who like to chew and claw at things. It won’t easily rip, so you can count on it to contain your cat all throughout the trip. It also has large mesh windows so air can easily go in and out to ensure your pet’s comfort. 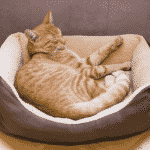 This product is also a good pick for cats as it can carry up to 14 lbs. This product also has your comfort in mind. It comes with padded straps so your shoulders won’t have to hurt while lugging your pet around. It's also lightweight so you don’t have to worry about additional heft when transporting your kitty from one point to another. While soft-sided carriers are preferred by many for its lightweight and the fact that it doesn’t look like you’re putting your cat in a cage, some people also have qualms about it not being easy to store when not in use. Unlike hard-sided crates that will hold its shape even when something else is piled on top of it, soft crates can lose its shape after staying squished for so long. If the cover won’t stay up, your cat will definitely hate being inside the carrier, which can cause even more problems for the both of you later on. If storage is a serious issue for you but you still want the best soft cat carrier, then check out Pet Magasin’s Soft Sided Dog Carrier. This product can work for cats as well, so it might just be the solution to your problems. What makes this product special is the fact that it can be folded flat when not in use. It won’t lose its shape while folded as the zippers, which are the very parts that hold it up when in use, are designed and constructed to keep its shape according to your needs. So when you don’t have to use the carrier, you can easily fold it up and it will look like your regular messenger bag in no time. Lined with some soft material, it also has a few mesh panels to ensure your cat’s comfort and safety. As for you, the fact that it has interiors covered with waterproof material will make it very easy to clean, offering you a fuss-free option to carry your pet around. 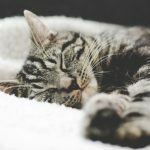 While most pet parents love to spoil their cats with lavish gifts, wanting to approach the task of caring for an animal practically isn’t something that you should be worried about. There are tons of affordable but quality products that you can get for your pet, especially when it comes to the best carrier for cats. AmazonBasics offer an excellent soft carrier that you can opt for and it doesn’t cost as much as other expensive, but flimsy units. Like the Sherpa carrier, this product from AmazonBasics has a very utilitarian style. It’s plain black with large mesh panels to let the air flow right through the unit. It has two openings to make it easier for you to access your cat and a shoulder strap that will allow you to easily lug her around. Available in three sizes, this carrier might also work if you want to fly with your cat as it is designed to fit nicely under most plane seats. You will still need to check with the airlines if they allow this specific brand for pet carry-ons, though, but as you actually need to do that with most other carriers, it shouldn’t make a difference. Comfortable, durable, and very inexpensive, this cat carrier can be the perfect pick for practical cat parents who like to take their beloved furballs along on their adventures. No cat parent will want to put their beloved fur babies into something so hideous, but there are lots of them who’ll look harder than the others so they can find a fashionable one that will suit their style. If you’re a bit of a modernist, Necoichi’s carrier might tickle your fancy as this product is just oozing with a specific kind of chicness that others in the list don’t have. With its tent-like design, this cat carrier will definitely turn heads as it looks so different from other products available in the market today. It has two oval-shaped sides giving it its unique look, accentuated by mesh window panels for proper ventilation. It opens from one end to the other end, so you can easily opt how to open it up to let your cat in and out of the carrier. Being lightweight, you won’t have to worry about having to carry too much with this product. It’s also very easy to store as it folds flat into a cube so those who live in compact homes don’t have to worry about it taking too much space in their closet. The best cat carrier reviews also note that for its very friendly price, it’s something you should have for quick trips outside with your kitty. Experienced cat parents know that a hard-sided crate is still the best cat carrier for car travel and visits to the vet because they are a lot easier to handle. Having an anxious cat inside a soft carrier can mean ripped mesh panels and even a kitty version of Prison Break. So, if this is the first time you’re caring for a cat, you might want to start with a safe choice like AmazonBasics Two-Door Top-Load Pet Kennel. Designed in the traditional two-door pet carrier style, you can expect a good amount of basic functionality with this unit. It provides ease of access to your cat and ample security to keep them inside their carrier and not running around, wreaking havoc at the vet’s clinic. Its affordable price really makes this product a great fit for this list. A lot of hard-sided crates are quite pricey, but this one sells at a fraction of the price without sacrificing quality. However, be wary of the size as it’s not very spacious and might not be a very good option for large cats. A lot of pet owners will love its ease of use, however. Its top door opens both ways while its front door can be removed completely. These can help accessing your pet a lot easier, so if your cat is already anxious, you can quickly take them out of the carrier without a lot of struggling.